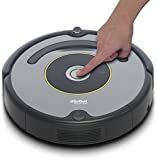 Are There Alternatives to Roombas? Robotic vacuums, of which the Roomba is perhaps the best known, are taking over the world. Designed for busy lifestyles, where housework is just one more task in an already hectic schedule, robotic vacuum cleaners combine the attraction of fun, stylish technology with the practicality of actually doing something useful. Robotic vacuum cleaners are designed to skim over the floor, cleaning as they go, with little to no human assistance – sometimes they’ll need to be rescued from under furniture, or the tangle of lighter rugs, but the most recent robotic vacuums have built in sensors to help them avoid such obstacles. Many robotic vacuums can even be programmed to clean at a set time – an hour before you arrive home from work, for example – and will simply take themselves back to their charging dock when they’re done. While robot vacuum cleaners are typically better suited to hard floors, most can handle carpet just fine, too. Yes! Roombas are the industry standard and market leader, but some of the cheaper options are pretty good! There are some in our comparison table and Top 5 list below. Take a look! Yes. You will need to pick up toys, and stray socks, before you set your robovac off – but most people do that before they vacuum, anyway. On a more amusing note, many people find themselves becoming quite attached to their robot vacuum cleaners, and some even go as far as giving them cute pet names. The future is here – it’s cute, and it cleans. What more could you want? 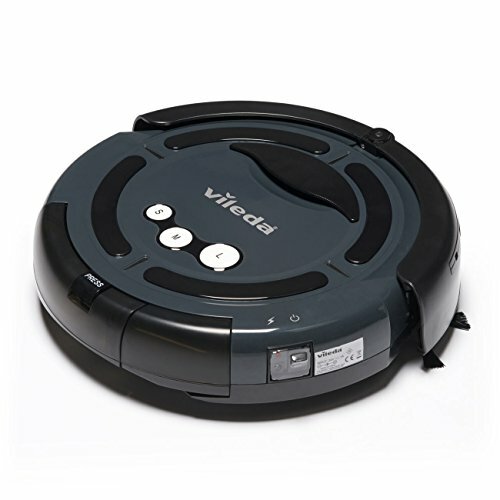 Definitely suited for hard floors rather than carpet, the Vileda offers room size settings, which enable the robotic vacuum to adjust its power usage to ensure it doesn’t run out of charge over larger rooms. It does tend to have quite a hard impact when it hits furniture, walls, or doors, and it struggles to pick up on carpet. This would be best suited to someone with a fairly clear, hard floored, open plan apartment. There are robotic vacuums with better functionality at similar prices. 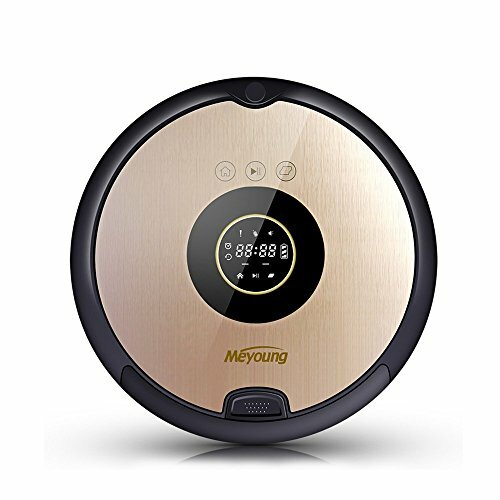 This remote controlled robotic vacuum features seven cleaning modes, and an anti-collision system, which saves your furniture, walls, and doors, and the robot itself. It can either be returned to its charging dock by you, or it will simply return there when it has finished cleaning – in order for the auto-return-to-base feature to work, you will need a strong wi-fi signal. The robot vacuum also won’t self-charge if you have set it to clean on a timer schedule. It can struggle with oddly sized or shaped furniture, and doesn’t get close to the edges of a room, meaning these have to be gone over with a traditional vacuum cleaner. As robotic vacuums go, this is reasonably priced, and therefore might be worth purchasing for interim cleans between your main clean. This is a reasonably priced robotic vacuum, and might be a good investment for those looking to see whether a robotic vacuum is for you. This robot vacuum sits at the top end of the price scale, and features ‘corner-clever’ technology, and object detection, making it an ideal robotic vacuum cleaner for use in tight, crowded spaces. It is good at picking up pet hair, so would be a potential investment for those who have pets, and small rooms. It does, however struggle to clean right to the edges of a room. Good in tight, crowded spaces – ‘clever corner’ technology and object detection. Doesn’t clean right to edges of a room. This is a good investment for those with a combination of pets and small rooms, as long as you’re happy to pick up at the edges yourself. This is a top-price model, and may not have enough functionality for most people to justify the price. Made from impact-resistant, anti-scratch tempered glass, the Eufy features charge drop sensors, which pick up on loss of power, and an infra red sensor to enable it to avoid obstacles. This is an auto-recharging robotic vacuum cleaner, and thus you’ll need a good wi-fi signal to enable it to return to its docking station. 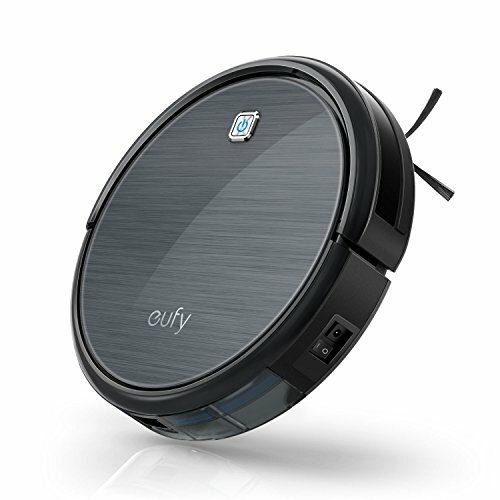 The Eufy has no problems getting under furniture to clean, and coming out the other side, and it features three-point cleaning technology, with a front roller brush, and rotating brushes mounted to either side. It does, however, tend to snag on light rugs. As long as you make sure to pick up lighter weight rugs before setting the Eufy off, there’s not much it can’t do. Its spinning side brushes mean it can also clean on carpet. 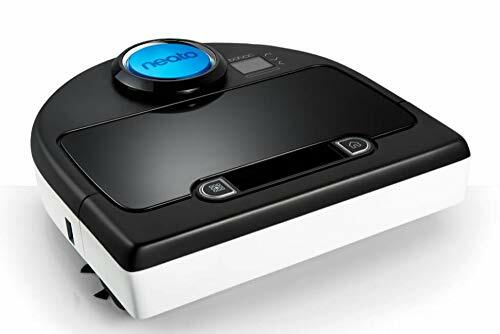 This is a mid-price robotic vacuum cleaner, and well worth considering if you have carpets, but would like the benefits of robot cleaning in your home. Featuring intelligent navigation, the Roomba can navigate anywhere with ease. It has multi-surface capability, meaning it can clean carpets to the same standard as it does hard floors – a definite plus in the world of robotic vacuums – and includes a HEPA filter, making it an ideal investment for those with pets or allergies. It can be programmed to perform a scheduled clean up to seven times a week, so, for example, you could set it to clean an hour before you get home from work, or, if you have pets that have the run of the house overnight, an hour before you wake up, so you’re greeted by pet hair-less carpets first thing! The Roomba can be confined to specific rooms, for a targeted clean. Definitely an investment purchase, but a must for those with allergies and busy lives that don’t always allow for daily vacuuming.